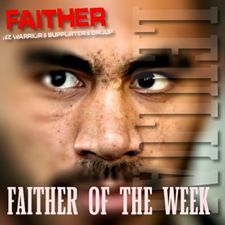 A Faither of the Week first with the Warriors #6, Thomas Leuluai, producing some vintage form and in the process becoming the first player to win Faither of the Week two weeks in a row. With the game looking like it was dead and buried with just over 10 remaining on the clock, Tommy took it upon himself to kick start a comeback that nobody was expecting by scoring 2 tries in a matter of minutes that allowed the Warriors to push hard to force the game into extra time. The hole this man is going to leave when he leaves at seasons end is something that is either being purposely ignored and not spoken about as it's something we aren't willing to accept just yet or fans are completely oblivious to how much this man offers the team. He may not dominate the highlight reels but the work he does, those 1% plays, the way he puts his body on the line in both defence and attack, his organising and vision of the game, his experience, stuff that many players aren't willing or capable of being able to do. He is the perfect match for SJ in the halves and whoever replaces him will have massive shoes to fill. In a game where the Warriors went down in yet another heart breaking golden point loss, Tommy was again a stand out on ground and would have been close to winning Man of the Match from a losing team, a feat that rarely occurs. For those who have him in their fantasy team they would have been happy with his 55 points. As far as game stats go Tommy managed 2 tries, 2 line breaks, 19 tackles, 1 offload, 133 running metres and 84 kicking metres. Here hoping he continues this form as we head into what could well be a season defining game against the Penrith Panthers this weekend.